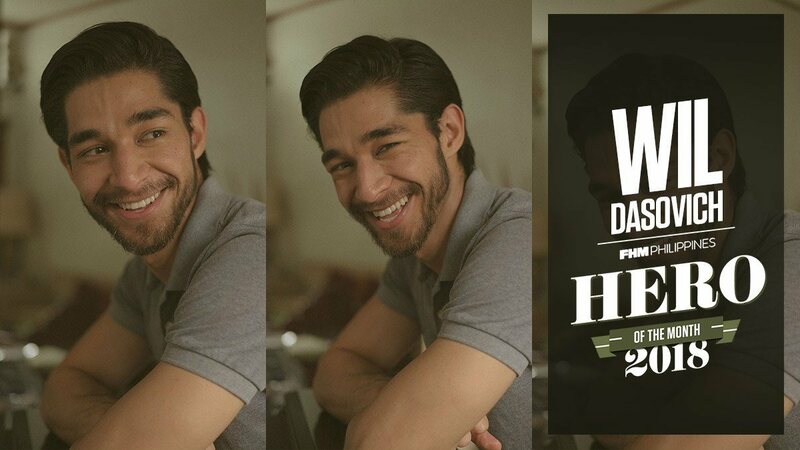 Whether he's headed to a hidden travel destination, or just chilling with his girlfriend Alodia Gosiengfiao (Wil you lucky man,you), Wil Dasovich has painted a colorful and exciting picture of his daily routine—fondly named "Wil's World"—through his YouTube channel. That's why after he was diagnosed with cancer last year, the Fil-Am Shorty Awards Vlogger of the Year wasn't about to let his condition slow him down and even made his journey a big part of his regular uploads. Now, Wil is free of the Big C and has more than enough reasons to celebrate his life the way only he can: vlogging. Anyone who was able to look adversity in the eye and triumph deserves to be called a Hero, right? Read the full article next Friday, July 13, only here at FHM.com.ph.